Fishing near Cape Coast Castle, originally uploaded by nobodaddy69. After being drained of emotion walking through Cape Coast Castle, there was a sense of colour and life just the other side of the castle wall. 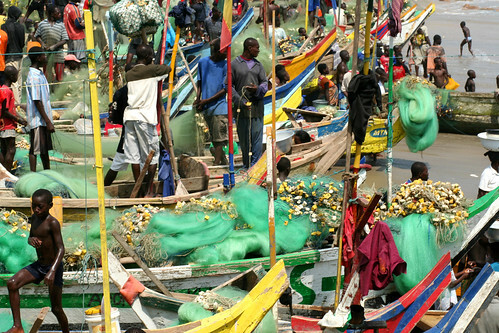 Local fishermen gathered in their nets, creating a riot of colour.